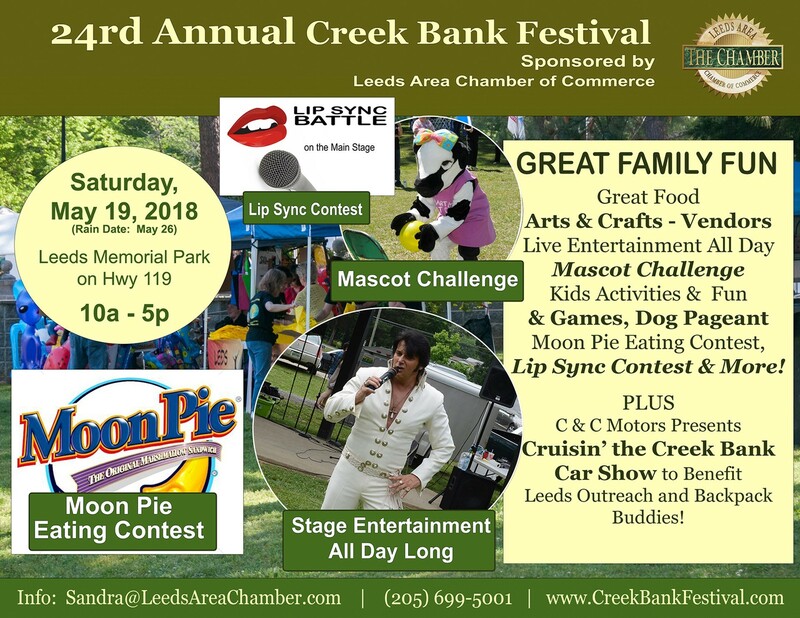 Each year, the Creek Bank Festival is held in May hosted by the Leeds Area Chamber of Commerce at the Leeds Memorial Park. Our next festival is scheduled for Saturday, May 19, 2018 with a rain date of May 26th. Plan to bring your entire family and join us for plenty of food, fun, entertainment and fellowship. We have a full day of festivities planned with plenty of shopping at arts and craft booths, a full schedule of entertainment on the main stage all day long and food vendors.